The Independent published this article online on July 4, 2017. To read the piece there, click here. Cold beer, hotdogs, fireworks and flags. There’s nothing as American as the Fourth of July, the country’s annual celebration of its independence from the British Empire in 1776. Most places mark the occasion with the Star Spangled Banner and red, white and blue fireworks streaming across the night sky, but a small Rhode Island town devotes three weeks to the occasion. Bristol, Rhode Island, is an idyllic New England town of 23,000 people, and for most of the year it flies under the radar. Then, as mid-June approaches, flags begin appearing in the windows of historic homes as Bristol’s residents prep for America’s oldest, longest-running, and most elaborate Fourth of July celebration. Founded in 1680, the township (then called Mount Hope) suffered during its early years. The first battle of King Philip’s War took place nearby, and during the Revolutionary War with Britain, Bristol endured two attacks that decimated much of the town. Hardship inspired grit and the country’s first outward commemoration of the Revolutionary War, which is said to have occurred on the morning of 4 July 1777 with 13 gunshots (one for each American colony) echoing across the serene Bristol harbour. On the same day in Philadelphia, Congress adjourned early to celebrate independence with bonfires and fireworks (in a letter dated 3 July 1776, John Adams explained that independence should involve “Pomp and Parade…Bonfires and Illuminations…”). The parade remains the highlight of Bristol’s Independence Day, but as I witnessed on holiday several years ago, the small seaside town expends tremendous time and energy celebrating the country’s birth. House decorating, historic tours, concert series, and high school competitions are all among Bristol’s patriotic events, and many require months to plan. Official Independence Day celebrations kick off weeks before 4 July on 14 June, Flag Day, which means that Bristolians are already knee-deep in revelry as the rest of the country stockpiles sparklers. 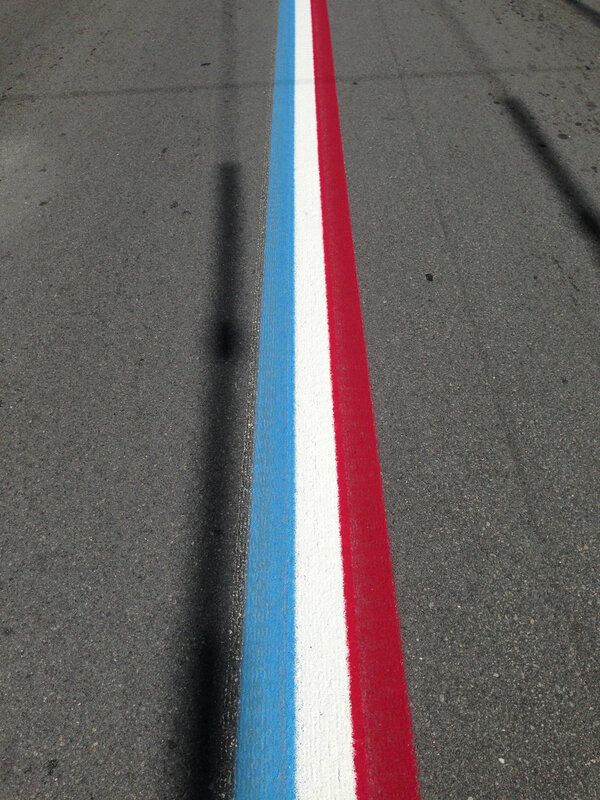 In fact, Bristol takes the Fourth so seriously that lawmakers passed a resolution instituting year-round red, white and blue medians on its main street, which are annually repainted. The crowning glory, however, is the citywide parade – held on the Fourth – which involves the usual fanfare but also features men dressed like Colonial American militia. They process down the red, white, and blue-paved road firing off vintage muskets as casually dressed parade-goers drink beer from the side-lines. Albert Mayer grew up in Rhode Island’s capital, Providence, but spent weekends and summers visiting his grandparents in Bristol. He’s attended Bristol’s Fourth of July parade countless times but is no match for his grandfather who’s been going consecutively for at least 40 years. “I’ve never seen any parade that can match Bristol’s when it comes to local flavour or patriotism,” says Mayer. And Bristol’s commemorations reflect the town’s year-round vibe. “Bristol isn’t a place where things are choreographed; it’s an authentic, historic town on an old harbor that coastal resorts wish they could replicate,” says Mayer. Having lived in North Carolina, Washington, D.C. and New York City and travelled extensively across the Eastern seaboard, I can attest to this fact. Popular coastal destinations typically feature chain resorts and restaurants and a social scene that attracts big city types looking for a bit of fresh air, but Bristol’s charm is down to earth and organic; and peaks over the Fourth. The closest international airport is Providence, RI (30 minutes from Bristol by car); fly to Providence via Dublin on Norwegian Air (norwegian.com/uk/). Hotel rooms sell out a year in advance so booking early is advised. The four-star Bristol Harbor Inn (bristolharborinn.com) has doubles from $89, room only. The more secluded Point Pleasant Inn (pointpleasantinn.com), which sits on the opposite, less developed side of the harbour, has doubles from $295, all-inclusive.